445 Years and Still Going Strong! News & Opinion: 445 Years and Still Going Strong! 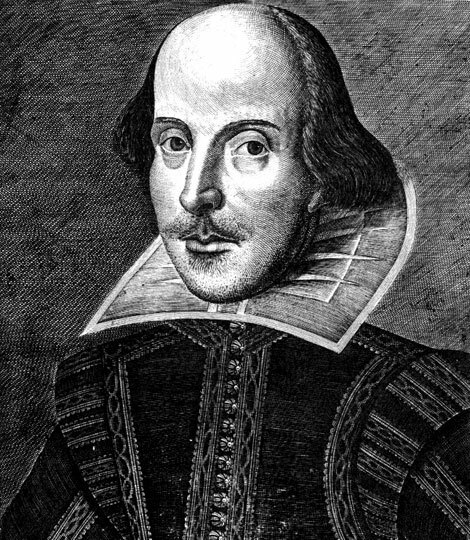 Today is William Shakespeare's birthday (if he had lived past his death, he'd be 445 years old today) Anyway, here's to the man that created entertainment, thought provoking monologues on the human condition and many, many quotes to fill tons of 365 day calendars on office desks. Today, NPRR ran a little story about Will and his marvelous cliches (er quotes). Granted in Will's time, these were NOT cliches - but our overuse of them have almost rendered them mute. "It is a cliche that most cliches are true," observed Stephen Fry in his 1997 book, Moab Is My Washpot, "but then like most cliches, that cliche is untrue." Ah, the cliche. How do I love thee? Let me count the ways. 1) The cliche can be shorthand for imparting information. 2) It can be an acknowledgment that we are drinking from the same Big Gulp, that we share a canon of literature in this brave new world. 3) It can convey a sense of innocence and sincerity. 4) Or it can be groan-inducingly funny. Oh, and if you're feeling really 'Shakespeare' today.. Check out Paul Corrigan's book: Shakespeare on Management in the funky Andy Wharhol cover art. This book is about the psychology of leadership using Shakespeare's characters. Could this be viewed as Elizabethan overload? I don't think so!! Happy Reading, everyone... and Happy Birthday, Will!